August 29, 2010, marked the 40th anniversary of the Chicano Moratorium in East Los Angeles, and it brought back many memories. I was part of a library contingent marching in 1970 in protest of the disproportionate number of Mexican Americans dying in the Vietnam War; some 30,000 other Chicanos were marching too. After the police tear-gassed the peaceful youth and families listening to music and speakers in Laguna Park (now Salazar Park), we fled to the nearest library, the Stephenson branch (now El Camino Real Library), where Library Assistant Flora Bailes closed the door behind us and sheltered us until we felt safe to travel the streets. Later that day, we learned that respected journalist Rubén Salazar, the voice of the Spanish-speaking/Mexican-American community in the Los Angeles Times and KMEX Spanish radio, had been killed. He was reputed to be investigating police brutality in greater Los Angeles. The inquest into the death of Rubén Salazar lasted months and the death was ruled accidental—to activists, confirmation of a police cover-up. Our project staff consisted of a group of librarians from varied backgrounds, and we became advocates for the recruitment of Spanish-speaking, Mexican-American, and African-American librarians, as well as the addition of ethnic resources and collections, community-based programs, and ethnic library décor to establish presence and a welcoming environment for the community. However, there was resistance within the organization to changing the culture of the libraries. Basically, the public libraries in these communities had little that reflected the Mexican-American/Chicano or African-American constituencies they served. The culture of these libraries said “English only” and reflected the public library profile in Anglo communities, with Anglo-centric collections and programs. Most library employees lacked the ability to communicate with community residents. Speaking Spanish among staff and with patrons was prohibited or discouraged, and longtime library employees were reluctant to change what they believed was appropriate. Our project librarians each had a unique cultural lens. Librarian Harriett Covey was Anglo and a formidable advocate for liberal, learned, radical, and young adult literature. Disagreeing with her required caution. Librarian Anne Rosen was Jewish and had worked on the Lower East Side with New York’s immigrants and at the Institute for the Blind, and she had stories about demonstrating against worker abuse in the copper mines in Arizona. She was the wise counsel that kept us all from losing our focus. Black librarian Joyce Sumbi, a former children’s specialist, was the compass who calmly brought reality to our work. She questioned whether racism would ever disappear from the American scene, reminding us about the Star Trek episode where a planet’s population was black on one side of their bodies and white on the other; the planet was at war over which left/right color split was superior. I, a Mexican-American children’s librarian for six months, was young, quiet, impatient, and insistent on exposing the truth about racism as I saw it. With an old flowered bookmobile driven by a jolly guy called Charlie, along with college-student interns and newly purchased materials we believed relevant, Joyce and I attended community events, met with local organizations, invited ethnic authors and activists to speak, and began to make the libraries ethnically relevant. Harriet held workshops for longtime employees on the selection of ethnic books and working with ethnic young adults. Anne purchased self-help materials for adults, sought free government “know your rights” pamphlets to give away, and made alliances with national organizations for support. Nevertheless, the project’s bookmobile stopped at the headquarters of the Brown Berets and the Black Panthers, distributed books and pamphlets about the next community meeting or demonstration against the police, and was a welcome sight to area residents, with our driver Charlie smiling at everyone. Our college interns were often stopped and harassed by police, once for bald tires; that time, police exposed the film in the interns’ cameras. Local and national media interviewed us because we defied the quiet, bookish librarian stereotype. There were some local librarians, and especially paraprofessional employees, who had been quietly working for years to serve the East Los Angeles community. In particular, paraprofessionals Margarita Rodate, Josie Chavez, Agnes Jaimes, and Flora Bailes had either been in charge of or had worked for many years in East Los Angeles County public libraries and were dedicated to the neighborhoods’ families. No one doubted their commitment, but because they were not librarians, their voices had limited effect. They welcomed us with relief and friendship, provided background and introductions to teachers and educators, shared their insights, and were examples of dedication to the community. We were also grateful for librarians who helped us and asked for our assistance with Mexican Americans in their own communities. Unfortunately, others were less supportive and were just waiting for “The Way Out Project” funding to run out. A few years after the project ended, when I and a black librarian were promoted based on our ability to speak Spanish, seven librarians (six Anglo and one Asian) protested, citing reverse discrimination. During this era, the East Los Angeles community felt afire with turbulent life-changing issues. It seemed there was a meeting every night, and the activist community was expected to appear at city hall or at board of education hearings whenever there was a demonstration. Law-enforcement officials were patrolling (some said harassing), college students were strategizing about the next demonstration, and the media was accused of bias and ignoring the activist cause. Teacher Sal Castro, who led protest walkouts at four high schools in 1968, was prohibited from teaching in any Mexican-American community, and hundreds protested at the Los Angeles Unified School District Board of Education for almost six months. The “Chicano 13,” identified as organizers, were jailed for inciting a riot and met at the East Los Angeles Library to rally support, which the administration and many staff did not offer. I took Sal Castro to speak to a group of children’s librarians at a meeting on the selection of children’s books, where he admonished the librarians for purchasing a book about Mexican-American athletes that included Cañonero II, the Venezuelan-owned racehorse that won the 1971 Kentucky Derby. The movie I Am Joaquin was shown at many community venues and inspired Chicanos to organize and gain political power. Street theater and El Teatro Campesino performances exposed ugly truths about the majority community. Goez Art Gallery and Self Help Graphics and Art emerged as community spaces, with shows by Chicano artists and “freedom of expression” murals, one of the first commissioned for the City Terrace Library, spurring controversy among library staff. Years later, as librarians and scholars began to write about the development of services to the Latino and Spanish-speaking community, firsthand experiences and insights of the late 1960s and early 1970s were scarce because we had failed to record the beginning of Chicano librarianship in East Los Angeles as it was happening. Some important exceptions include a 1969 study of Hispanic communities and libraries by Robert P. Haro; the opening of the Latin-American Library in Oakland, California, in 1966; the 1967 launch of the Chicano Periodical Index by Richard Chabrán and Francisco Garcia-Ayvens; and a special issue on “Chicano Library Service” in the January 1973 issue of California Librarian. I established the Chicano Resource Center at the East Los Angeles Library with $1,000 from my regional book budget in 1976, and some of the first acquisitions were the Chicano Manifesto and Materials for the Chicano Activist by the Brown Berets. The California State Library Ethnic Services Task Force was formed in 1977, and the first “Guidelines for Library Services to the Spanish Speaking,” by Yolanda Cuesta and Patricia Tarin, was published in the July 1978 issue of Library Journal. 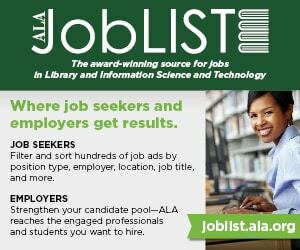 There were also early recruitment efforts in the greater Los Angeles area such as the Committee to Recruit Mexican American Librarians (CRMAL), started in 1969 by Los Angeles Public Library’s David Barron, Jose Taylor, and myself. Doris Banks received federal funds in 1972 for the Mexican-American Library Training Institute at California State University in Fullerton and hired Patrick Sanchez from Colorado to direct the program and recruit activist college students. The program ended in 1975. (An informal survey 10 years later indicated that half of the graduates had left for other professions.) The respected Immaculate Heart College’s MLS program, at a school noted for multicultural community service, also closed, and in 2000, so did the entire college. Neither program ever achieved ALA accreditation. Nationally, Reforma was established by Arnulfo Trejo in 1971 and became the professional voice of library services to the Spanish-speaking population and Latinos. I remember meeting Dr. Trejo at the 1970 ALA Annual Conference. He was looking for reformistas to start Reforma, and I was looking for an audience to show I Am Joaquin. Together we accomplished both goals. In Albuquerque, New Mexico, in 1970, the federally funded Model Cities Library Project and Cultural Centers (PDF file) erupted in a protest by the Hispanos over the lack of decision-making by the community. Three years later, ALA established the Chicano Task Force, which brought Chicano activist Corky Gonzales and then-lawyer Geraldo Rivera to the Annual Conference. In 1979, the White House Conference on Library and Information Services became a forum for ethnic-group collaboration and agenda-setting. The events of these early years left an indelible mark on the individuals involved and on the libraries of East Los Angeles. Some of us went on to become administrators, believing this was the only way to improve services to the Chicano/Latino community. Future library leaders who worked in East Los Angeles County public libraries in the 1970s included John Ayala, Carmen Martinez, Ben Ocon, Patricia Tarin, and Roberto Trujillo. 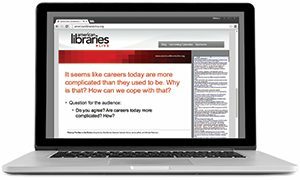 Over the next decades, the number of Latino librarians increased through federal funding of accredited graduate schools of library and information science, and Spanish-speaking ability became an asset. Chicano librarianship of the 1970s evolved into the broader realm of Latino professional issues, with higher levels of institutional support, both local and national. This brief personal recall of the early years in East Los Angeles during the Chicano Moratorium days and subsequent efforts in the community is the result of a reunion with Chicano activists of that time. Forty years later, the sheriff has been asked to produce documents from the investigation into the killing of Rubén Salazar; some, but not all, are being released. Mainstream local media, which in 1970 had depicted protesters as instigators, anti-American, and revolutionary, ignored or minimally covered the 40th anniversary of the Chicano Moratorium. Perhaps we should not be surprised; the fact that dozens of Mexican-American soldiers received the Medal of Honor for their World War II service was included in Ken Burns’s PBS documentary The War only after Chicanos protested the exclusion. Working in East Los Angeles during that time changed the direction of my professional career, and I experienced both the excitement and challenge of community activism. I believe that the Chicano Resource Center at the East Los Angeles Library is a major legacy of the Chicano Moratorium era, and it is where the history of the Chicano Movimiento is well documented. ELIZABETH MARTINEZ is director of Salinas (Calif.) Public Library, former director of the Los Angeles Public Library, and former executive director of the American Library Association.